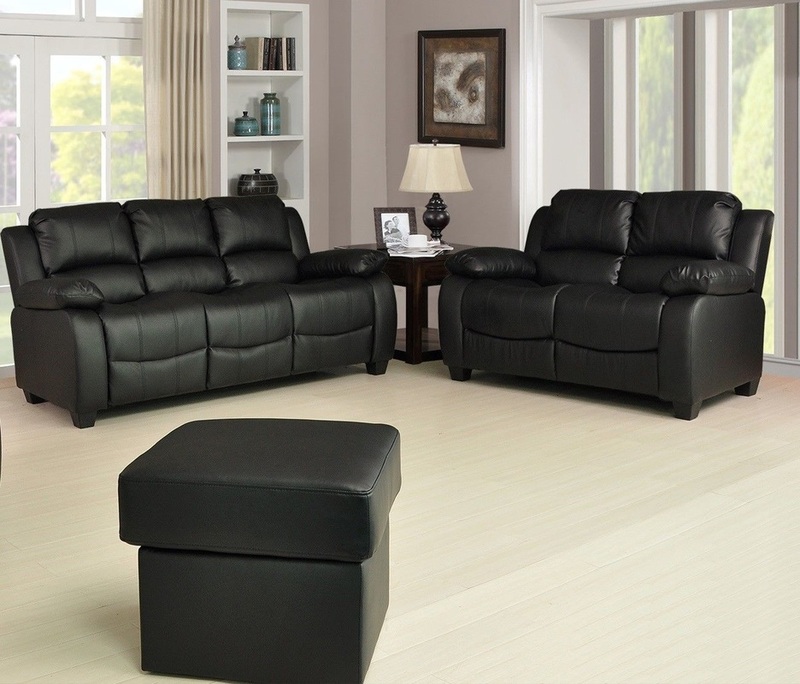 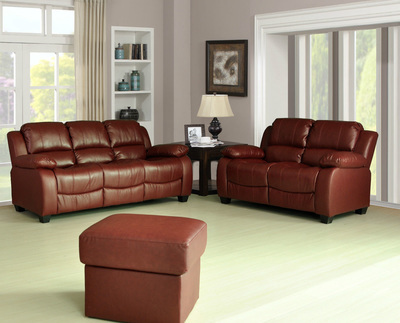 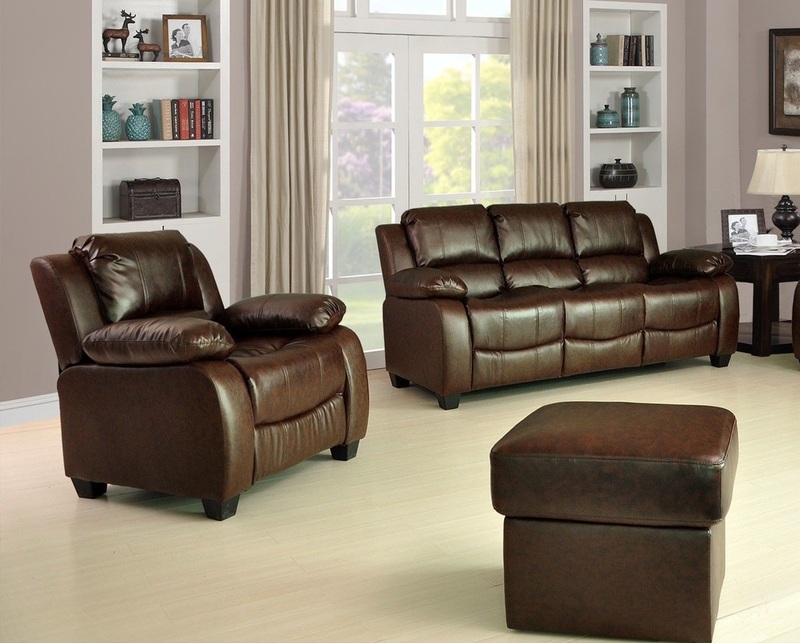 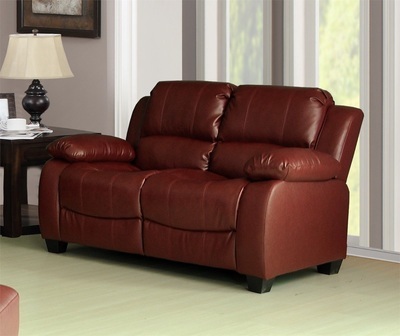 Modern style leather sofa in premium bonded leather to all wearing surfaces, and leather match to non-used areas. 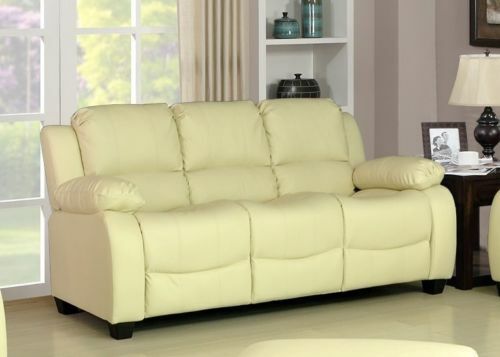 This is a very comfortable, large, well padded sofa suite, with foam pocket sprung seat cushions, and fibre filled back cushions. Matching storage ottoman is also available for £75 when bought with the sofa, or £99 on its own.